Life moves at an altogether slower place on Sark and Herm. Floating off the coast of northern France, these lesser-known Channel Islands are amongst the last car-free islands in Europe – the only way to explore their secluded bays and wind-bitten headlands is by bike or on foot. How quaint. 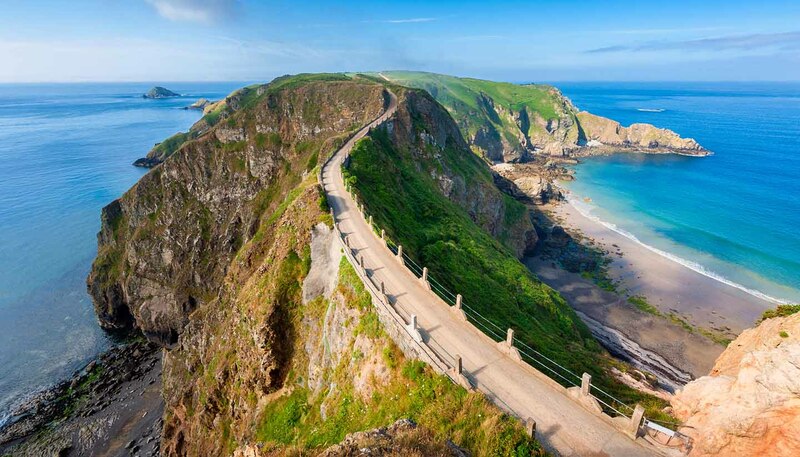 Though not part of France or the United Kingdom, Sark and Herm are officially classed as British Crown Dependencies and offer a chance to escape the trials and tribulations of life in mainland Europe. There’s plenty to keep visitors occupied. Indulge your taste buds with a gastronomic tour of the islands, sampling local produce at restaurants such as La Sablonnerie, Stocks Hotel and the Ship Inn Brasserie. Nature lovers are also well catered for. Climb down the rocky steps at La Grande Greve and explore one of the most stunning sandy bays in the Channel Islands or take your binoculars to Little Sark and scout for puffins and oystercatchers. Unspoiled by rampant development, Sark and Herm are almost entirely devoted to tourism and have long been popular day-tip destinations for those staying on the larger Channel Islands of Guernsey and Jersey. Despite their fledgling adventure tourism industry, which is focussed on coasteering and kayaking, Sark and Herm are essentially destinations based around peace, quiet and relaxation. If your idea of a great time is a quiet country ramble followed by an afternoon on the beach, a cream tea and then a fantastic evening meal, these tranquil islands are the place for you. Sark: 5.5 sq km (2.1 sq miles). Herm: 2 sq km (0.8 sq miles). Sark: 492 (2015). Herm: 79 (2015, includes the island of Jethou). Sark: 89.5 per sq km. Herm: 39.5 per sq km. Sark: Self-governing depency of the British Crown. Herm: Dependency of Guernsey. HM Queen Elizabeth II since 1952, represented locally by Lieutenant Governor Ian Corder since 2016. Sark: Seneschal Jeremy La Trobe-Bateman since 2013 and President of Chief Pleas Reg Guille since 2013. Herm: Chief Minister Jonathan Le Tocq since 2014.